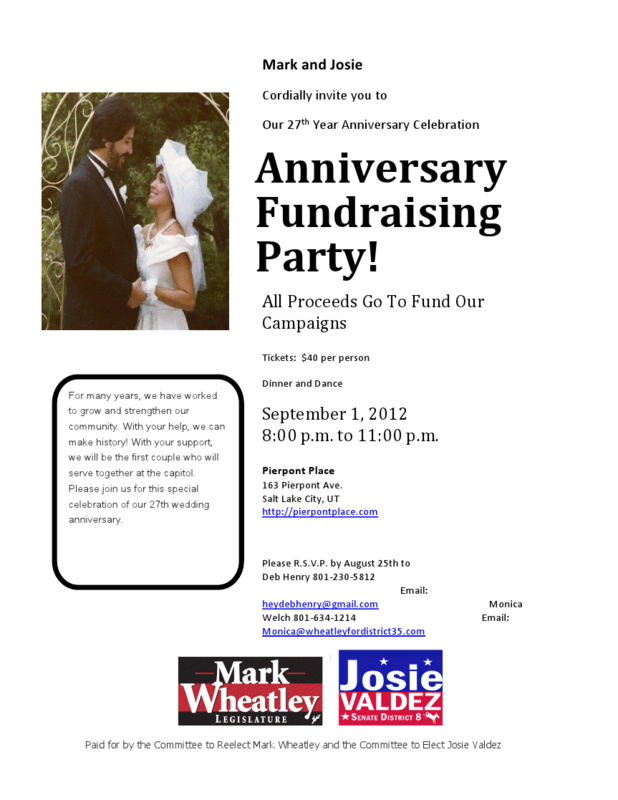 Pierpont Place is SO PROUD to host a celebration and fundraiser for our friends Mark Wheatley and Josie Valdez! Janice says: “I vividly remember Mark’s very first campaign party at their home, gosh, over 10 years ago! I thank you both, Josie and Mark for supporting me in my business endeavors and most importantly contributing passionately to the very volatile political ring! Thanks for sharing the information regarding Pierpont place: Salt Lake’s Event Venue!! I was also searching out for the good event venues.